Mr Kingston, 41, used to date Catherine, Duchess of Cambridge's younger sister Pippa, 35, who was married in May last year. Buckingham Palace released news of the nuptials with a statement written by Lady Gabriella's parents. 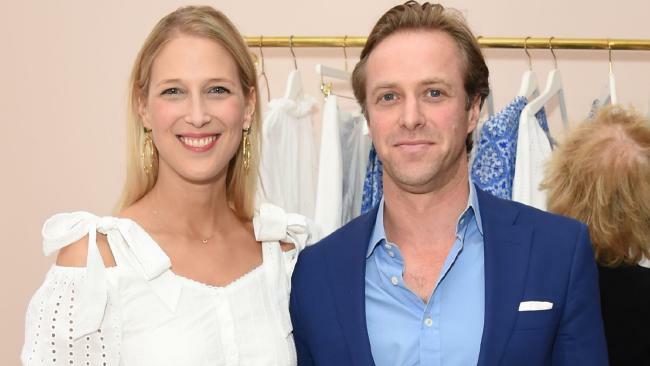 "Prince and Princess Michael of Kent are delighted to announce the engagement of their daughter Lady Gabriella Windsor to Mr Thomas Kingston. The engagement took place in August; Mr Kingston proposed on the Isle of Sark," the statement read. Lady Gabriella shies away from the spotlight, but does make the odd appearance with the main members of the royal family, including Trooping the Colour to celebrate the Queen's birthday. The next royal wedding is that of Princess Eugenie and her fiance Jack Brooksbank's in October at Windsor Castle, where Prince Harry and Meghan Markle tied the knot.